Northumberland National Park has won the prestigious accolade of National Park of The Year in the BBC Countryfile Magazine Awards 2018. This is the second time the National Park has won the respected nationwide competition through an online public vote, making the least populated National Park in the country the undisputed people’s champion once again. Almost 180,000 votes were cast by nearly 30,000 people, representing the biggest response in the award’s history and Northumberland National Park winning the strongest and most debated category. Tony Gates, chief executive of Northumberland National Park Authority, said: “This is fantastic news for the whole of the North East, a region which can be very proud of its National Park. We are extremely grateful to everyone who took the time to show their support and vote for us. “To win National Park of the Year in 2016 was a dream come true, to win again in 2018 is a true testament to how much people have taken the unique qualities and outstanding natural beauty of Northumberland National Park into their hearts. 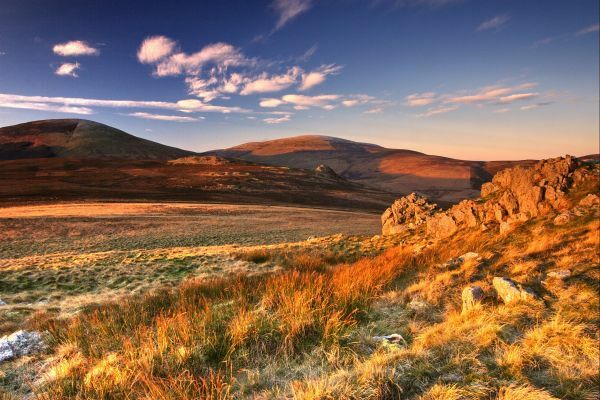 Northumberland National Park competed against the New Forest, The Broads, Exmoor, and Snowdonia National Park, which was named runner up, to win the coveted Countryfile National Park of the Year award. Glen Sanderson, chairman of Northumberland National Park Authority, said: “This is brilliant news for the National Park and for Northumberland as a whole. The National Park is a jewel in the crown of the county and part of its fantastic visitor offer. “Whilst all National Parks are different, everyone who voted has recognised that Northumberland is unique in so many ways, which makes us a winner. This award is fantastic recognition for the county and the National Park, and is one that highlights Northumberland’s remarkable beauty and tourism offering on a national stage. “I’d like to extend huge thanks to everyone who voted for us and for the tremendous support we’ve received from all our partners, visitors and companies across the region and to the local media who have helped us so much. “I’ve no doubt that the national recognition will provide a great boost to tourism in the North East and I would also like to thank everyone involved in Northumberland National Park - whose hard work, expertise and talents have been recognised through this award." On the Countryfile website, the judging panel said: “With some of the best skies for stargazing and rare wildlife, including red squirrels, otters and black grouse, Northumberland is a haven for nature lovers, and regularly performs well in the awards, winning both Holiday Destination of the Year and Beach of the Year in 2017 for Embleton Bay. “Readers voted overwhelmingly for England’s most northerly National Park, thanks to attractions including Hadrian’s Wall, the Whin Sill, the Cheviot Hills and the Sycamore Gap - the most photographed spot in the whole of the National Park. “Fossil hunters can visit a number of key sites, while Hareshaw Linn is a treasure trove for botanists, thanks to the 300 different types of mosses, liverworts and lichen present near its nine-metre waterfall. There are plenty of mapped walks to choose from, and guided walks available from April to October, including family-friendly options. "It's commendable that the park authority does not try to be too intrusive - people go to national parks to get away from everything and whether you're in a remote valley by a riverside or up on the moorland you can do just that in Northumberland." The BBC Countryfile Magazine Awards celebrate the best of the British countryside. The categories range from iconic landmarks and rural pubs to conservation success stories and the results are based solely on public votes. Find out more at: http://www.countryfile.com/article/bbc-countryfile-magazine-awards-2018-winners.